An update is long overdue: writing up my PhD took priority over blogging for most of 2013. Fortunately, I successfully passed my thesis defence and presented the final results to WaterAid in September – many, many thanks to my supervisors Dr Vandana Desai, Dr Alex Loftus and Tom Slaymaker, and my examiners Professor Frances Cleaver and Professor Richard Carter. The full PhD thesis (and a one-page abstract) is now available online. Two days later, I moved to the Democratic Republic of the Congo. I’ve started an exciting new job in Kinshasa, working for the DRC WASH Consortium, a group of five international NGOs funded by DFID to support over half a million people in rural areas of DRC to improve access to water, sanitation and hygiene. We are dealing with many of the same issues as in Mali, but in an even more challenging context: understanding the long-term costs of water and sanitation services; working with local authorities and others to support community management of rural water supply; exploring different approaches to sanitation and hygiene promotion; and analysing and trying to influence sector politics. So this is a reboot for the blog and an early New Year’s resolution for 2014. I will post more details on the results of the PhD and related work that I have just published. I will continue to keep my eye on interesting debates in the wider WASH sector. And – internet reliability permitting! – I will discuss updates from the work of the Consortium and how we are trying to address the challenges to sustainable services in DRC. For all researchers hoping that their work might be able to positively influence a government’s policies, British political comedy TV shows are a good reality check. Hat tips to Aid Thoughts and Roving Bandit for the following gems from Yes, Prime Minister and The Thick Of It respectively, showing how (not) to design surveys or seek expert advice (strong language warning for the second clip). … this research is still ongoing, but my main sense is that aid workers aren’t acknowledged enough—or not in the right way. The tendency to present them as either unselfish heroes or self-serving villains is unhelpful. So my main recommendation would be to take aid workers seriously, not as ciphers, but as three-dimensional, complex and fallible people. This is a useful reminder of what should be an obvious point. The editors also discuss some of the differences and similarities between local and expatriate aid workers, how life in “Aidland” has changed in recent years, and shifting alliances between different “communities” of aid workers. However we probably didn’t need anthropologists to tell us that aid workers can get lonely and like watching DVDs. What is more interesting is to consider how aid workers’ beliefs, motivations and personalities affect the impact they have on others. I hope the book goes further into this; I’ll find out when it’s available for Kindle. And finally, for Friday afternoon, here’s a tongue-in-cheek look at how (expat) aid workers see themselves. Why am I doing a PhD? I’ve spent much of the last couple of weeks on the back of my translator’s motorbike travelling between my first few research sites for initial meetings and household surveys. I’ll post some observations soon, but in the meantime I have had plenty of time to think about why I am here in the first place. It’s a question many PhD students ask themselves, but I’m responding more directly to recent articles on the ‘oversupply’ of PhDs in the Economist and another aid blogger’s advice to those thinking of doing a PhD in international development. I think both these focus too much on the PhD-to-academia career path, and not enough on the wider reasons for doctoral research. 1. 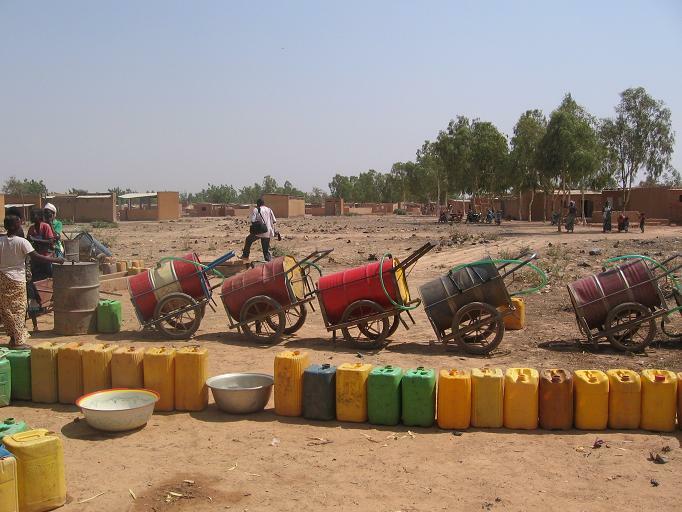 I’m fascinated by the subject – how communities, governments and NGOs interact to provide water and sanitation services, and who pays for it – and want to study this in-depth to find out what works in Mali. 2. I want to learn how to do rigorous research: asking the right questions, and working out how to answer them with a combination of theory and empirical evidence. 3. To bring the first two parts together, I want to spend time talking to and observing the people involved, understanding their experiences, opinions and actions. In case some of this sounds too ambitious, here’s a very accurate and down-to-earth representation of what a PhD looks like in pictures: a tiny – but hopefully worthwhile – dent in the boundary of all human knowledge. I’m just back from a conference in Ouagadougou, Burkina Faso, organised by WaterAid in West Africa to discuss and promote its approach of working closely with decentralised local governments in the region to support water and sanitation provision. 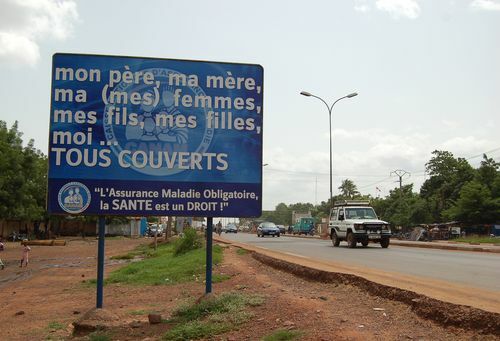 The most interesting part of the event for me was a visit to a peri-urban municipality of Ouagadougou. In a meeting at the mayor’s office, we discussed how the council had developed a local development plan for water and sanitation with support from WaterAid’s partners and discussion with community representatives. The local government then began the process of seeking funding for the plan’s implementation from central government, donors and the local private sector. However, despite the intention that this planning process would help prioritise the areas most in need of improved water and sanitation services, the second part of our visit showed the difficulty of achieving this. 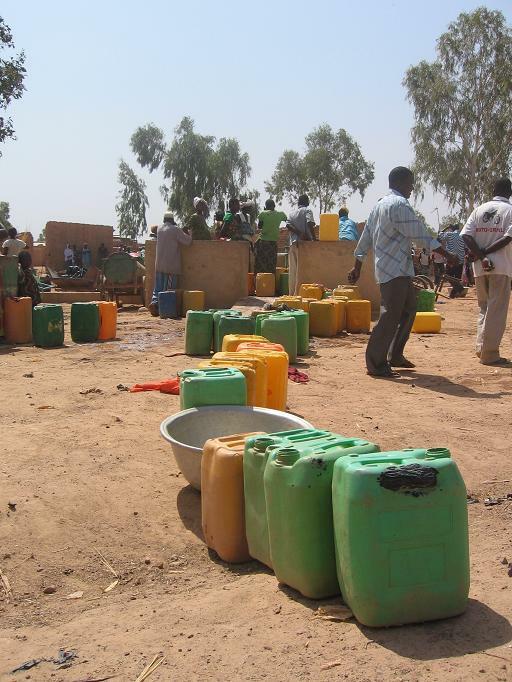 We saw a community on the outskirts of the municipality, far enough from the city centre to be the beginnings of rural Burkina Faso, where over 1000 people were using a new handpump designed to serve 300 users – resulting in the queues shown below. Meanwhile in the part of the municipality closer to the city, funds had been allocated to a new public tapstand connected to the main water network, in an area which already had some other tapstands and household connections. There was not time to discuss the details of this case, but various possible reasons emerged for the apparent discrepancy. Connecting new tapstands to the existing piped urban network is usually cheaper than drilling extra boreholes in areas further away, so when funds are limited (and need to be spent rather than saved) the cheaper option becomes the priority rather than the area with greater pressure on existing services. Also, ‘rural’ areas like this which technically fall within urban municipalities may miss out on the funding allocated by donors to the rural water sector, but are not yet considered viable for connection to urban networks. This example is a good reminder that targeting the poor and marginalised is always a challenge in development. WaterAid’s policy team is working on a much wider study about targeting in the water and sanitation sector which should be completed later this year.